Can you tell your siloviki from your civiliki? MVD, FSB or GRU? The breeds of dog underneath those Churchillian carpets? If not, maybe this will help. 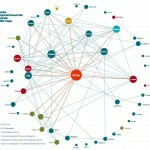 In August 2010, I translated the introduction to political pundit Vladimir Pribylovsky’s recent book ВЛАСТЬ-2010: 60 биографий (Power in 2010: 60 biographies). 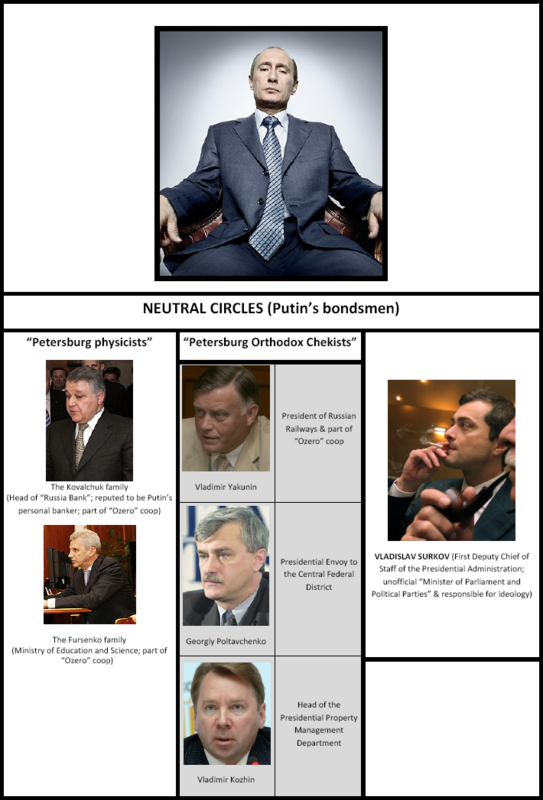 The resulting Phantom Tandem, Real Triumvirate and the Kremlin Clan Wars is a useful, if a tad obdurate, primer on “who’s who” in today’s Kremlin. 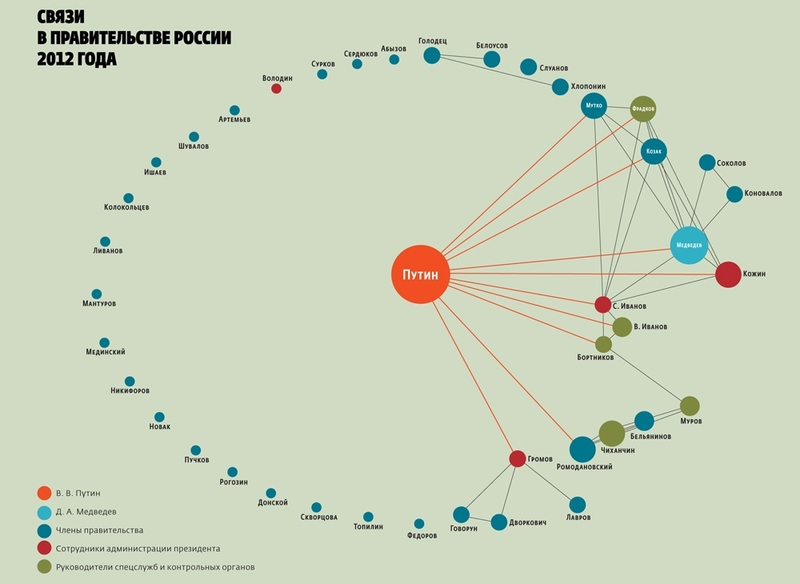 In collaboration with A Good Treaty, we have created three tables listing the biggest players in the “Kremlin clans” according to Pribylovsky (to the extent they exist: see my comments to the original translation). There have been few changes until today, January 2011. 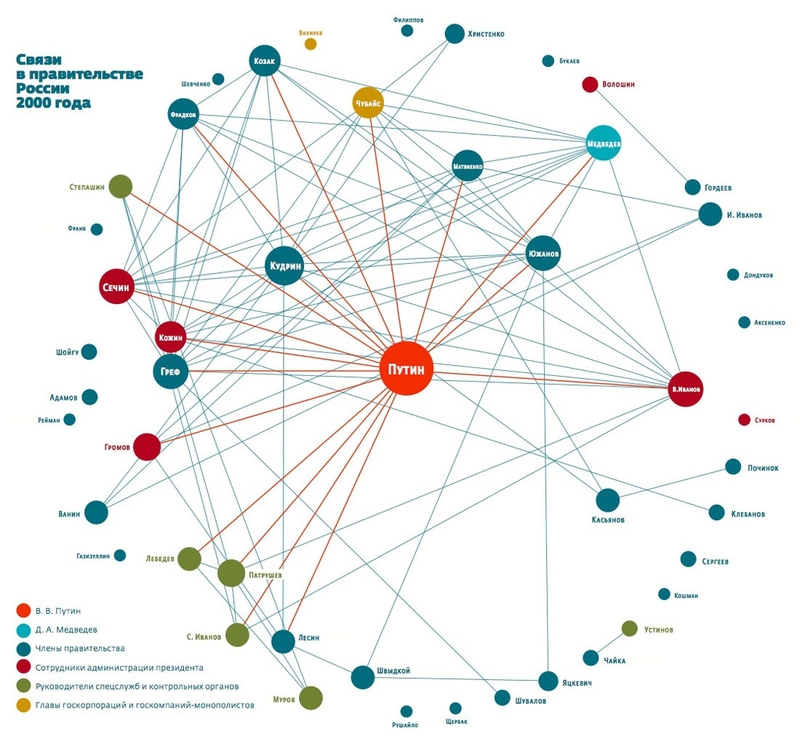 The biggest was the replacement of Sergey Bogdanchikov by Eduard Khudaynatov as President of Rosneft. We hope that it will be of use to all Russia watchers, amateur and expert alike. 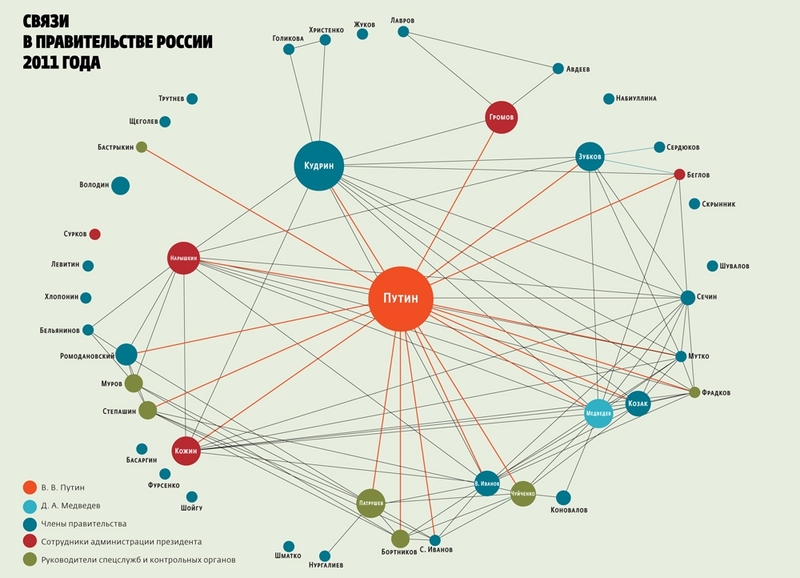 According to a graph analysis by Russian Reporter, the Putin era saw a diminution of alternate centers of power within the power elites. 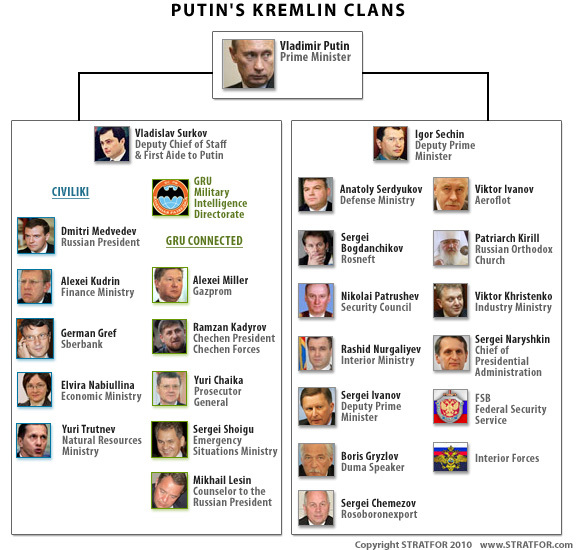 However, 2012 saw an Anti-Clan Revolution, as the Putin – Medvedev clan got compressed in on itself by unconnected newcomers. 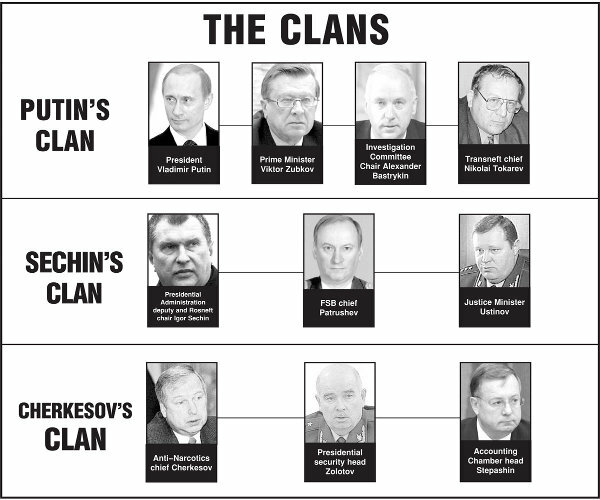 Is this then the end of the Kremlin clans?